Azra Hromadžić was 16 and in her second year of high school in 1992 when war broke out in her home country. She and her family lived—and survived—under siege for three years in Bihać, Bosnia, a then-republic of Yugoslavia. After the war relented, Hromadžić earned a scholarship to a small U.S. college and began her life in academics in America. But her thoughts were never too far from the country where she grew up. It was her “own personal puzzle” to understand what kind of forces made this possible and how people cope in the aftermath. Hromadžić goes back frequently to Bosnia to see family and conduct research. First, it was about how international humanitarian interventions shape the ways in which people live their postwar lives and, currently, her research focuses on the state of elder care in a post-socialist country. 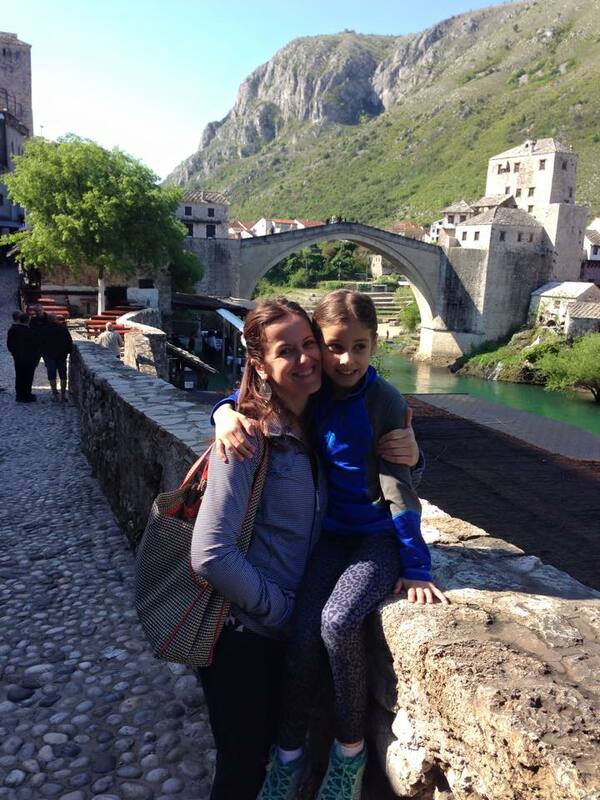 Her research was recently recognized in a substantial way through her appointment as a Fulbright Scholar, which will bring her back to her home country next spring to teach at the University of Bihać and continue her research. When she found out she had won, “the joy was overwhelming. Someone recognizes that what you do is meaningful and has purpose,” she says. Grateful for the opportunity, Hromadžić acknowledged the support of two Maxwell colleagues who wrote recommendations—Professor John Burdick, the anthropology department chair, and Distinguished Professor of Anthropology Robert Rubenstein—as well as Paul Stubbs, a colleague at the University of Zagreb, and Kathy Hall, her former mentor at the University of Pennsylvania. While at the University of Pennsylvania working on her dissertation, Hromadžić first began exploring how external state-making influenced the experiences of citizenship for the youth in the country. She studied the first integrated high school in Bosnia, where Bosniak and Croat youth were brought together after the war. 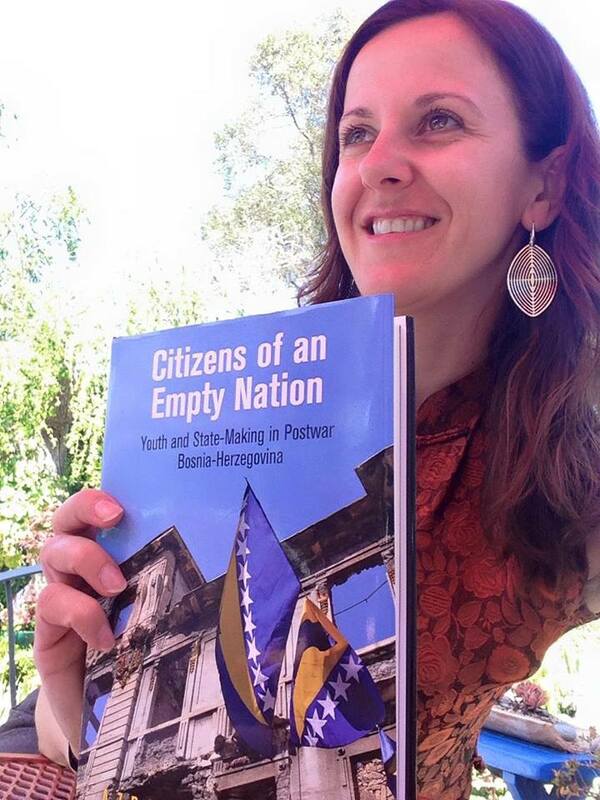 Hromadžić’s book “Citizens of an Empty Nation: Youth and State-Making in Postwar Bosnia and Herzegovina” was published last year. Her work contributes to a large body of literature that looks at the relationships between the ethno-religious communities and their effect on people’s lives, but she realized there was more to understand. In her new project, she is studying how Bosnia is creating new technologies and modalities of elderly care in the aftermath of war and the dismantling of the socialist state. This can also have implications around the world as people live longer and there is a “crisis” of elder care. “Bosnia is a great example of these larger processes because its institutions are shrinking with the socialist state gone, and you also have this complex post-war situation in which many families are torn apart by forced exile, unable to take care of elderly parents,” Hromadžić says. During her recent trips back to Bosnia, Hromadžić has divided her time in the field at private nursing homes, a relatively new phenomenon, and a center for social work that serves people who can’t afford private care. At these institutions, she looks at how social workers handle caring for the population with the lack of state services. “It’s really about being intimate with the people who are going through these things and trying to understand the effects of this restructuring on the lives of Bosnians,” she says. 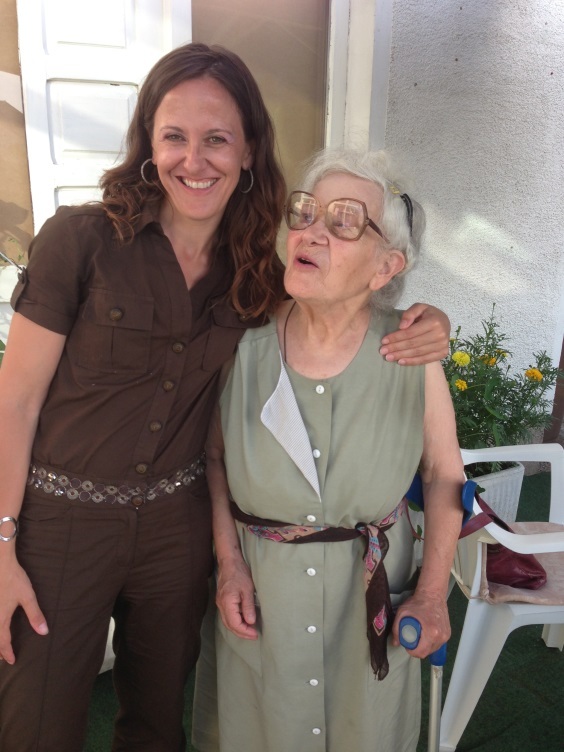 Hromadžić visits care facilities and their residents during her research into elder care in post-war Bosnia. The work she does has moved beyond just talking about ethnic politics, which in many ways is unfair to the people in the various groups who actually share very similar experiences in terms of language and cultural and historical backgrounds. “Ethnicity was always important but it was never territorialized as it is today; only through conflict and through post-war peacemaking was this order legitimized and institutionalized,” Hromadžić says. During her time at the University of Bihać, Hromadžić will possibly be teaching a course relating to world ethnographies and/or aging, and hopes to create a hybrid of sorts of pedagogical teaching, combining both the Bosnian and U.S. styles, which will in turn inform her Syracuse teaching. This fall, Hromadžić, who is organizing a symposium later this month on “Aging and Migration,” developed a new course titled “Love/Care/Abandonment,” which builds on anthropological, philosophical and social theories to examine the quality and density of human bonds in the contemporary world. She also teaches “Peace and Conflict in the Balkans,” in which she wants students to grapple with the region’s complexities and history. “Balkans is a very interesting place—geographically, politically, historically—that can teach us a lot about not only Europe but also the world at large,” Hromadžić says.